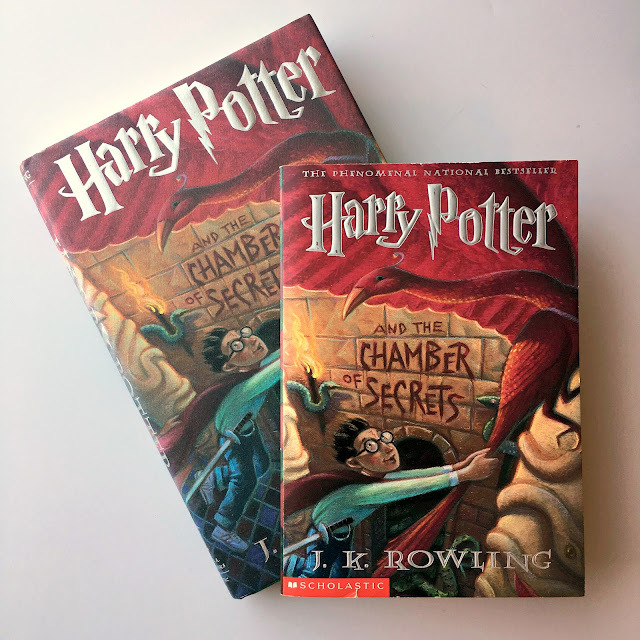 I've heard some Harry Potter fans say they don't enjoy Harry Potter and the Chamber of Secrets as much as some of the series' other installments. I like it quite well, particularly when Fred and George show up with Ron at Harry's bedroom window ready to rescue him from the Dursleys. Say what you will about the Weasley twins, but I am fully convinced that Fred is the funnier of the two. I mentioned this to someone and they looked ready to take a swing at me. The last time I fully read the series (I am a book nerd, so you've been warned) one of the things I was particular to take mental note of was the difference between the twins. I wanted to see how they were different from one another. Though I would never suggest to real-life twins that one is "better" than another, I definitely believe Fred is slightly more proactive in the rebellion, humor, and tomfoolery than George. Those are my two cents. Along with my afffection for the humor the Weasley twins bring into the story, the section at the beginning of this novel where Harry spends time at the Burrow is perhaps my favorite within the entire book. The Burrow and the lovable chaos of the Weasley family is absolute perfection and reminds me of some of the large families I used to enjoy spending time with when I was growing up. Anytime Harry gets to be with the Weasleys, he gets to meld into a family dynamic and enjoy days when it's not him versus the world or even him versus the Dursleys, but time when he's just one of a group. The love, acceptance, and friendship he so quickly finds in the Weasley family is awesome. Besides Percy's rebellion that occurs later in the series, how could you not want your own family to be like the Weasleys? To me, the rest of the story is enjoyable as well. I like Gilderoy Lockhart's vanity, though as with my previous review of Harry Potter and the Sorcerer's Stone, I prefer the mental image I had of him to the film's version (sorry Kenneth Branagh, though I adore you in anything Shakespeare-related). The plot thickens with the polyjuice potion (Hermoine's intellect for the win! 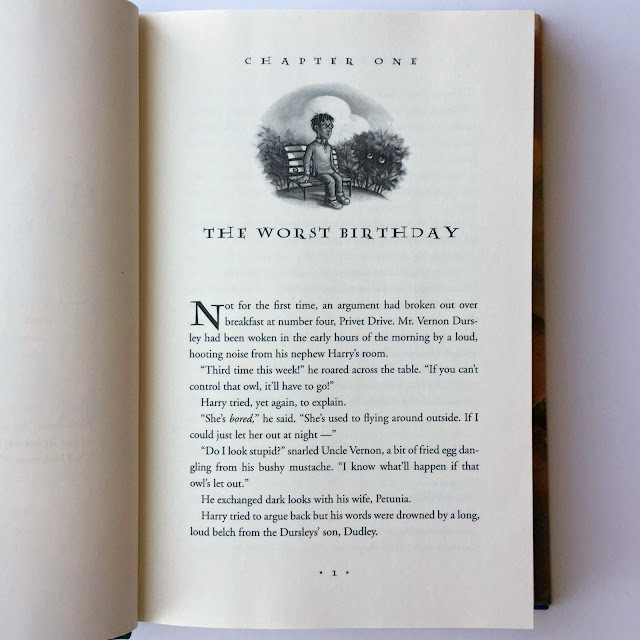 ), there are new characters including Moaning Myrtle and Dobby, and the Chamber of Secrets itself and the danger the students at Hogwarts feel made for an adventurous ending. I liked learning more about Tom Riddle and life at Hogwarts, including the students ever-expanding studies (yes, I am a nerd). One rather serious question, why don't they study literature, humanities, or the arts at Hogwarts? If you say because they're not important, beware the wrath that will follow. I'm particularly disheartened by this since Rowling herself was a student of these subjects. The novels don't have to be perfect, but a nod to these subjects would have been nice. If you're trying to encourage bravery, confidence, creativity, and intellect in youths, these subjects are invaluable. (1) When Harry's at home with the Dursley's before the school year begins, Harry enjoys scaring off Dudley with some fake magic: "Jiggery pokery!.... Hocus pocus-squiggly wiggly!" Dudley's a bit of a bully and a dolt at this point, so he has it coming. This line also makes me laugh because it makes me think of all of the people who think the Harry Potter series should be banned because it promotes evil. *eye roll* If anything, the series promotes bravery in the eye of evil, but if that's what you believe then jiggery pokery, hocus pocus squiggly wiggly on you! (2) When Hermoine rushes off to the library believing she may be onto something about the monster kept within the Chamber of Secrets, Harry and Ron give her a hard time. When Harry asks why she's going, Ron sarcastically responds, “When in doubt, go to the library.” It's not Ron's sarcasm I like here and perhaps not really the line itself, more the fact that Hermoine is smart and studious and her efforts save the day on numerous occasions. Is she obsessive about her grades and an annoying know-it-all in classroom? Absolutely, both traits she needs to learn to control, but her intelligence is a key resource throughout the series and Harry would be hard-pressed to succeed without her. (3) Finally, lest I ignore the most powerful line in the book said by the dude at the helm himself, when Dumbledore speaks to Harry about the difference between he and Tom Riddle, he is quick to assert that there is a difference and everyone has power to influence their own path in life: “It is our choices, Harry, that show what we truly are, far more than our abilities.” Oh, Dumbledore, you are so wonderful. What do you love (or not love) about Harry Potter and the Chamber of Secrets? Do you have a favorite Weasley or Weasley twin? Are you on my side that the Hogwarts curriculum could use some additional options? Just a few days left until the release of Harry Potter and the Cursed Child!